which are especially relevant to systems built while using an object-oriented style. The above mentioned Unified Modeling Language (or UML) is a standardized and general-purpose modeling language which is very popular and widely used in the field of software engineering business activity. UML Class diagrams are the static structure diagrams with the help of which it is simple to describe a structure of some particular system in a way of showing the system's classes, attributes, operations (or methods), as well as the relationships among the objects within this system. 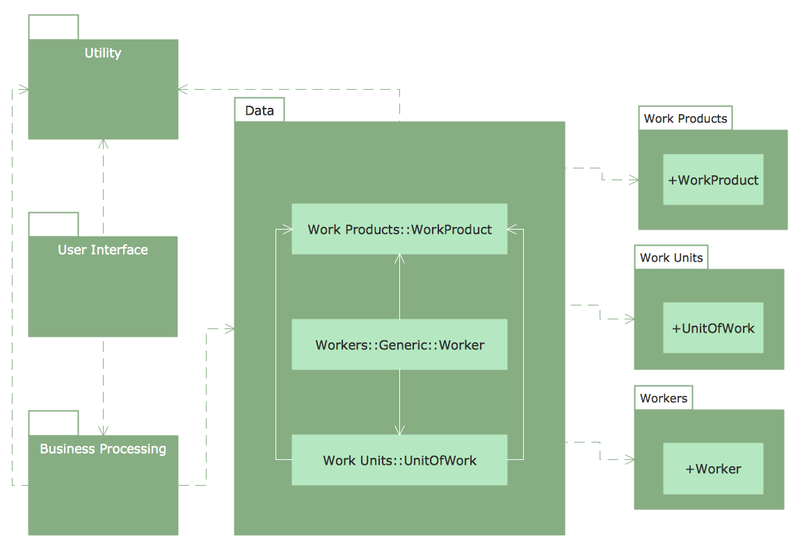 UML Package diagram is used in the Unified Modeling Language for depicting the dependencies between the packages that can make a particular model. 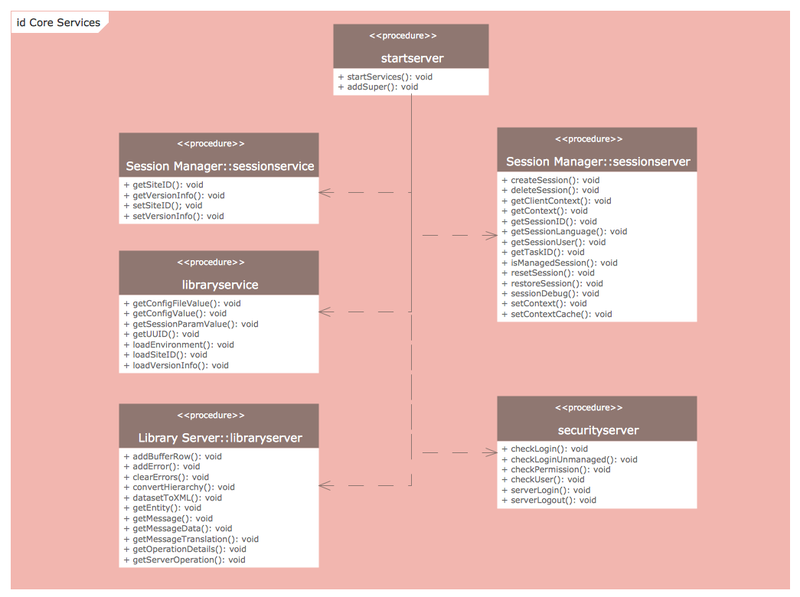 UML Object diagrams are used in the Unified Modeling Language (UML) and these diagrams show a partial or complete view of some system’s structure at some specific period of time. UML Use Case diagrams are the representations of a user's interaction with some particular system, depicting the specifications of a use case. UML Sequence diagrams are interaction diagrams with help of which it is simpler to show the way how processes operate with each other and in which order it happens. UML Communication diagrams model the interactions between different objects or parts in terms of sequenced messages. Communication diagrams represent a combination of information taken from Class, Use Case and Sequence Diagrams describing both the static structure and the dynamic behaviour of some particular system. 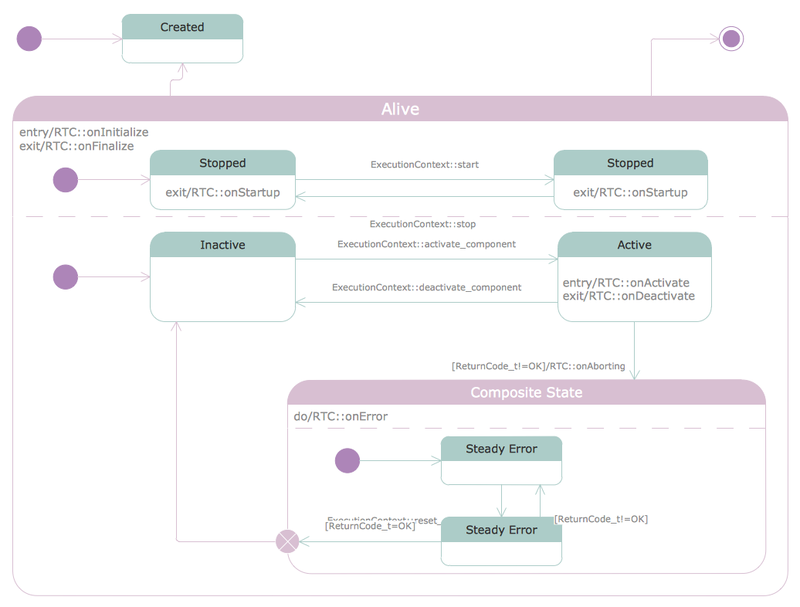 UML Activity diagrams represent workflows of the actions and activities with support of choice, iteration as well as concurrency. 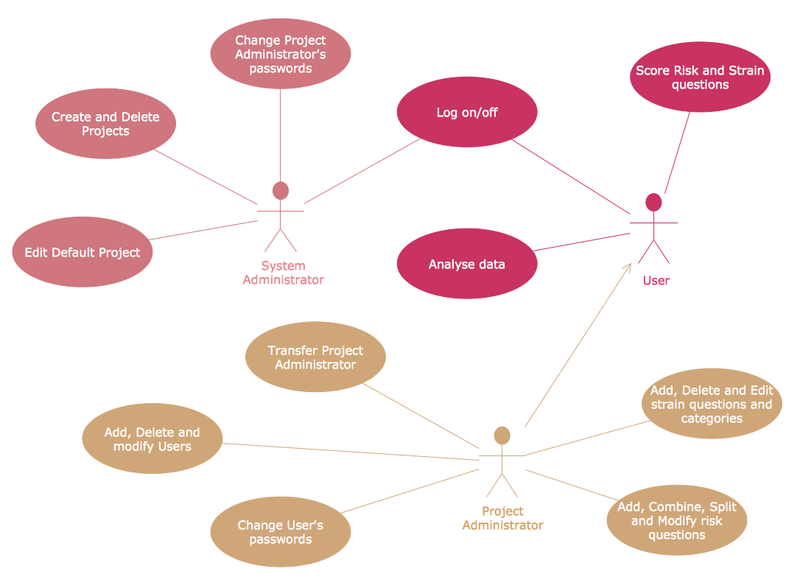 In the Unified Modeling Language activity diagrams are meant to model both organizational and computational processes (for example, workflows) and this type of diagrams represents the overall flow of control. UML Component diagrams help depict the way the components of some system are wired together in order to form larger components or software systems. This type of diagrams is used for illustrating the structure of arbitrarily complex systems. UML Deployment diagrams are used for modeling the physical deployment of some artefacts on nodes. These nodes look as boxes and the artefacts clustered with each node appear as rectangles within these boxes. Nodes may also have subnodes which can appear as nested boxes. A single node in this type of UML diagrams may conceptually represent many different physical nodes. "UML state machine, also known as UML statechart, is a significantly enhanced realization of the mathematical concept of a finite automaton in computer science applications as expressed in the Unified Modeling Language (UML) notation. UML State Machine diagrams or UML state charts are used for boosting the realization of the mathematical concept of a finite automaton in computer science applications. 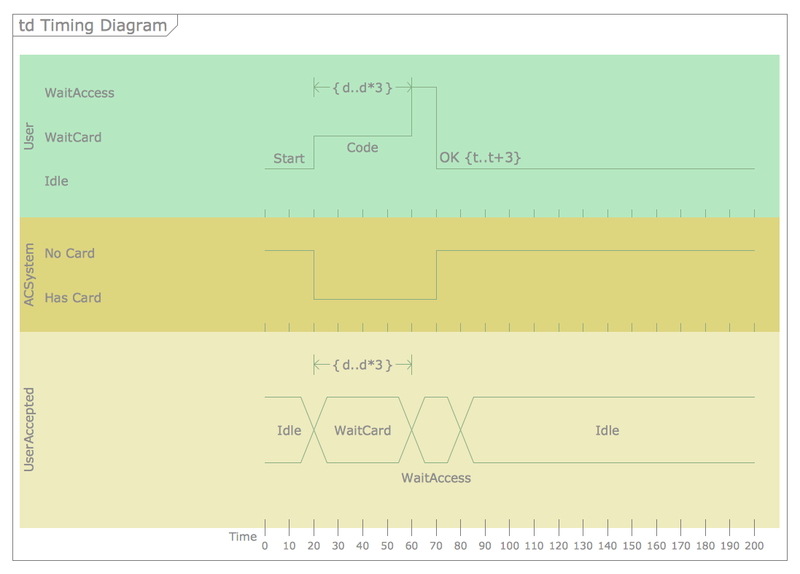 UML Timing diagram is a specific type of UML interaction diagram, which focuses on timing constraints. These types of UML diagrams are used for exploring the behaviours of objects throughout some particular period of time. This type of UML diagram is a special form of a Sequence diagram. The differences between them are the axes, which are reversed, so that the time is increased from left to right and the lifelines are shown in separate compartments that are arranged vertically. UML Interaction Overview Diagram is included to the list of fourteen types of UML diagrams, which can illustrate a control flow with nodes that can contain interaction diagrams. This type of UML diagrams is similar to the Activity diagram, as they both visualize a sequence of activities. The difference in them is that each individual activity is pictured as a frame which can contain a nested interaction diagrams. This makes the interaction overview diagram to be very useful for deconstructing a complex scenario. UML Composite Structure diagram is such type of Static Structure diagrams that shows the internal structure of a class and the collaborations, which this structure makes possible. This type of UML diagrams can include internal parts, using which the parts of a system can interact with each other. 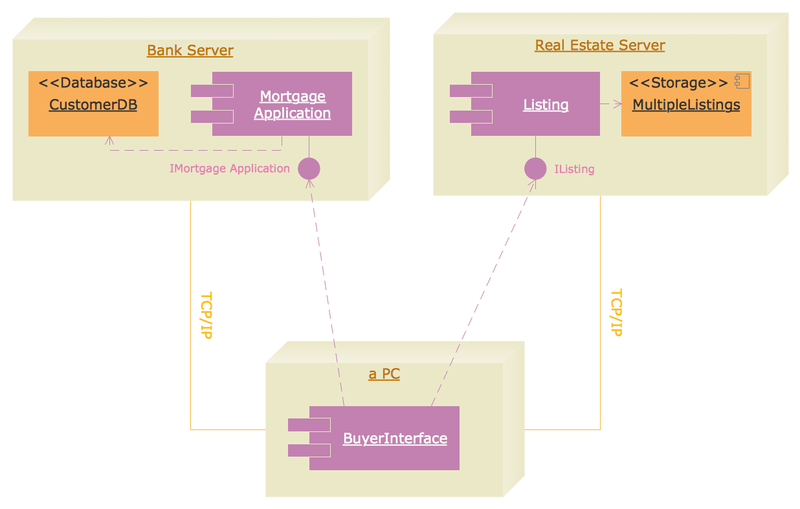 UML can be applied to diverse application: banking, finance, internet, aerospace, healthcare, etc. 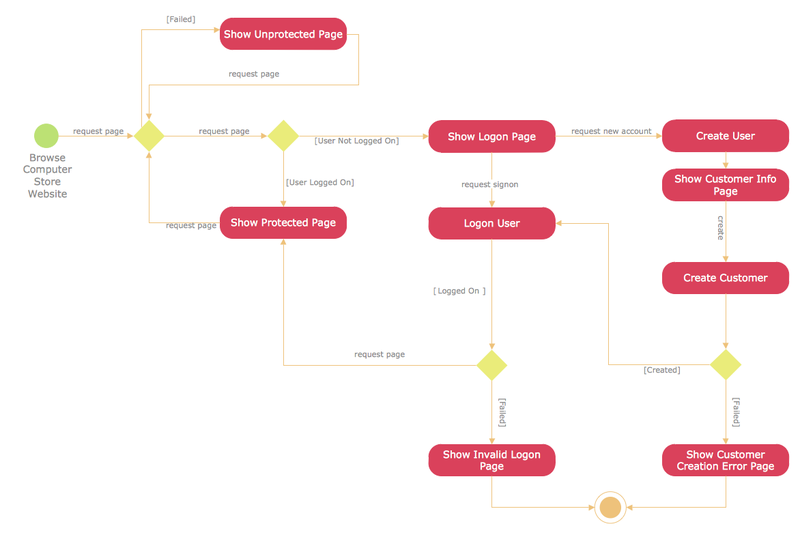 After describing so many different UML diagrams, which you can always create using ConceptDraw DIAGRAM we want to mention the way these diagrams may be created. Besides having ConceptDraw DIAGRAM it is also beneficial having ConceptDraw STORE as well, as this other product of CS Odessa is truly unique and it allows to download any needed solution for creating your own charts, flowcharts, schemes, plans, maps and diagrams, including any of the mentioned UML diagram any time you want them to be made within only a couple of hours or even minutes if you already know how to use ConceptDraw DIAGRAM and so ConceptDraw STORE, including all of the available solutions. The solution called “Rapid UML” allows you to make any UML diagram, using the available samples, such as “Design Elements — UML activity”, “Design Elements — UML class”, “Design Elements — UML Communication”, “Design Elements — UML Composite structure”, “Design Elements — UML Deployment”, “Design Elements — UML Interaction Overview”, “Design Elements — UML Component”, “Design Elements — UML Object”, “Design Elements — UML Package”, “Design Elements — UML State Machine”, “Design Elements — UML Timing”, “Design Elements — UML Sequence”, “Design Elements — UML Use case”, “UML Activity Diagram — Alarm Trigger Processing”, “UML Activity Diagram — Cash Withdrawal from ATM”, “UML Activity Diagram — Cash Withdrawal from ATM”, “UML Activity Diagram — Catalogue Creation Process”, “UML Activity Diagram — Catalogue Creation Processing”, “UML Activity Diagram — Payment Process”, “UML Activity Diagram — Servlet Container”, “UML Activity Diagram — Snap in Process”, “UML Activity Diagram — Ticket Processing System” and many other. Two types of diagrams are used in UML: Structure Diagrams and Behavior Diagrams. Behavior Diagrams represent the processes proceeding in a modeled environment. Structure Diagrams represent the elements that compose the system. When we start to speak about databases, we must always mention database structure visualization. 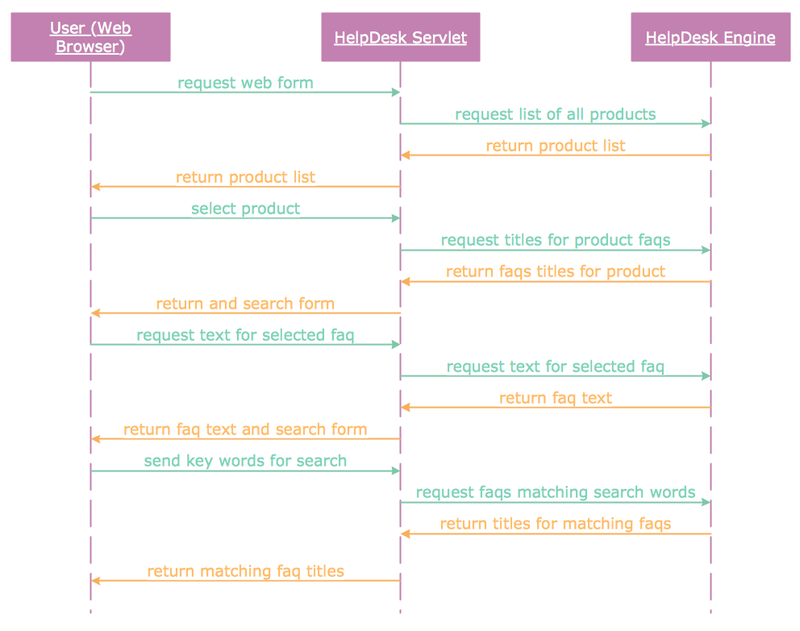 One of the most common ways to do it is to create an entity relationship diagram, and to put appropriate symbols on it. It is important either for database projecting and for its' future maintenance. 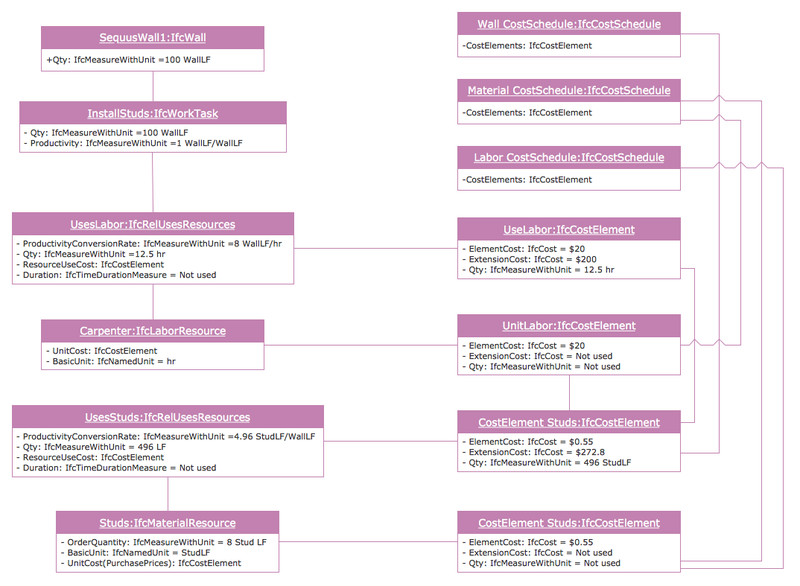 Entity Relationship Diagram describes data elements and their relationships within a database. There are a set of special symbols that depict each element of an entity relationship diagram. Entities - represents some stable components such as supplier, employee, invoice, client, etc. Relation symbols show how the entities interact. Attributes define characteristics of the relationships. Attributes can be one-to-one or many-to-many. Physical symbols is used in the physical models. They represent items such as fields, tables, types and keys. ERD physical symbols are the building material for the database. Notation lines are used to illustrate the relationships. The most common method is Crow’s Feet notation. 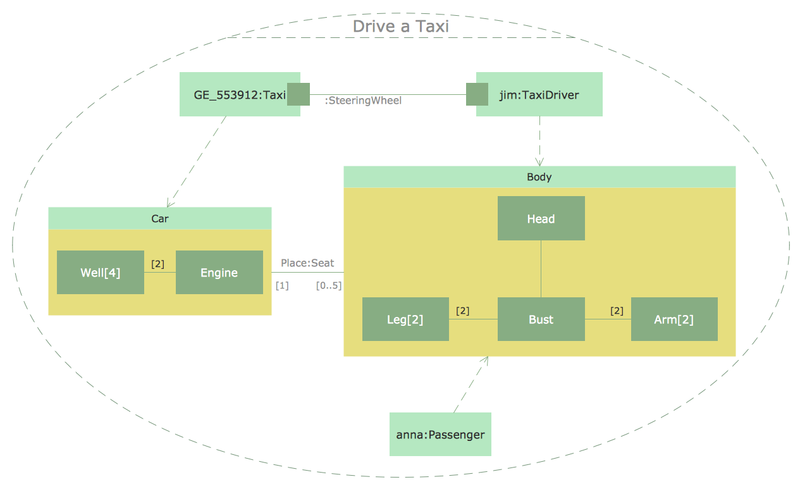 You can use ConceptDraw Entity-Relationship Diagram (ERD) solution to represent a database using the Entity-Relationship model. Systems Modeling Language (SysML) is a general-purpose modeling language for systems engineering applications. ConceptDraw DIAGRAM v12 diagramming and vector drawing software was extended with SysML Solution from the Software Development Area of ConceptDraw Solution Park specially to help systems engineers design various model systems with SysML. 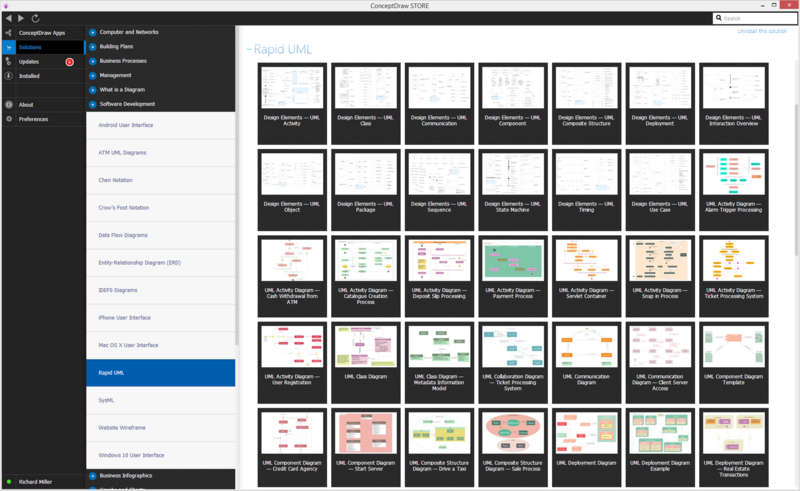 ConceptDraw helps you to start designing your own UML Collaboration Diagrams with examples and templates. Structure of a software product might get very complex and complicated, if software engineers did not pay much attention to the architecture of the product. It will take a few minutes to create UML diagrams with ConceptDraw DIAGRAM v12, because this software is just perfect for diagramming. You can alter ready-to-use templates, or make your own, whatever you need. This illustration represent the example of UML diagram made by using ConceptDraw Rapid UML solution. 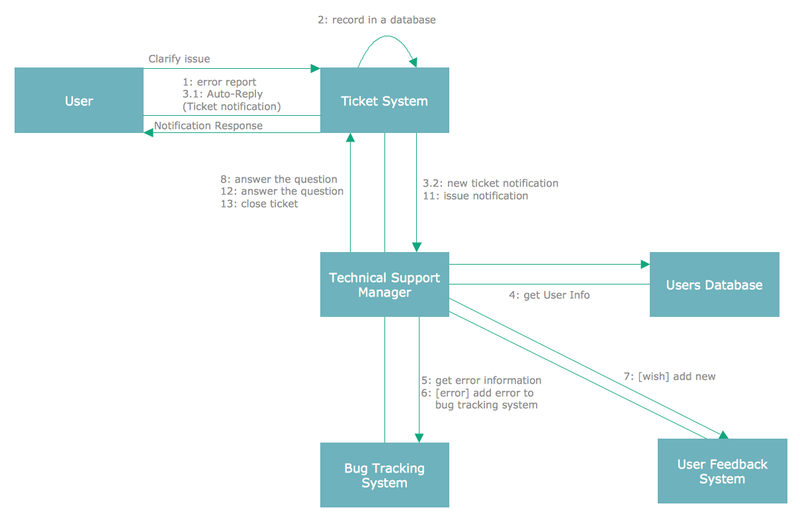 This activity diagram displays the stages of the software development process similar to a flow chart. This diagram depicts the states of elements in the software system. It can be applied to represent software and coding logic. 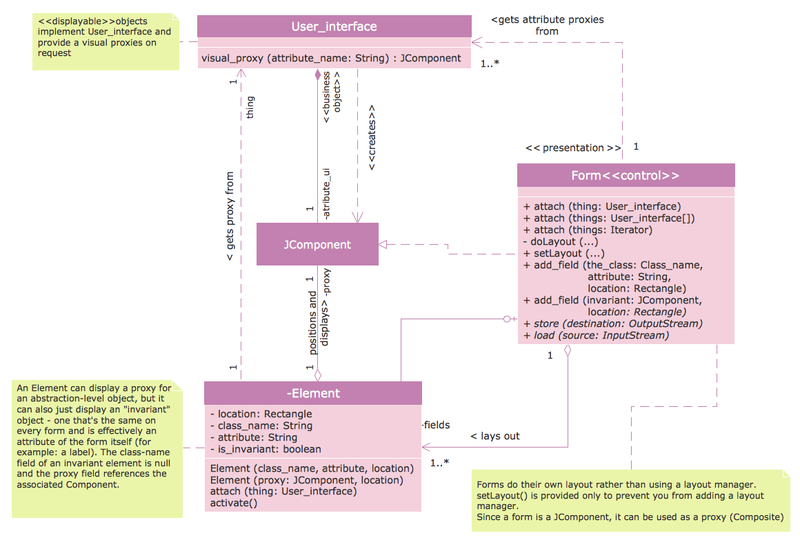 This UML diagram was drawn with the help of the ConceptDraw Rapid UML solution which supplies the kit of vector libraries, containing the symbols of the Unified Modeling Language notations. The ConceptDraw vector stencils library Cisco IBM contains equipment symbols for drawing the computer network diagrams. The Rapid UML solution from Software Development area of ConceptDraw Solution Park includes 13 vector stencils libraries for drawing the UML 2.4 diagrams using ConceptDraw DIAGRAM v12 diagramming and vector drawing software. Venn Diagram Examples for Problem Solving .